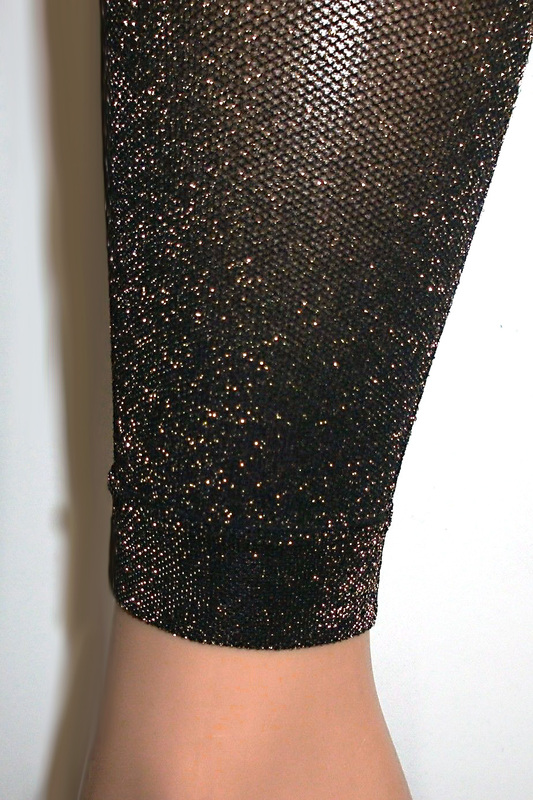 Lurex Fine Net Footless in black gold. Adding a pair of sparkly footless legwear is an easy way to elevate your outfit. This style is knitted with metallic yarns and has ribbed cuffs to keep them in place. One size, fits Small, Medium and Large. Composition: 84% Nylon, 13% Metallic Yarn, 3% Elastane. Color: Black/Gold.